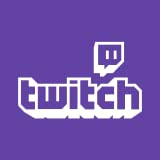 Recently Twitch made a change to their streaming API that they say was communicated in advance to developers of software that folks like myself use to connect and stream game play. The software I’m using is from Nvidia and the date of the Twitch update has come and passed and they have still not updated their software to work with Twitch. On their support forum they acknowledge the issue and say that they are working on it. The end result is that I can’t stream via Twitch now, and haven’t been able to do so for the past couple of days. 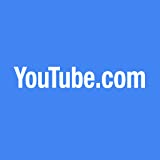 I have just done a test and streaming to Youtube from that same software on my PC is still functional. I will plan on live streaming and recording for Youtube postings in the meantime. I don’t create content everyday but I don’t like it when my ability to do so is broken. This is the story of the rise and fall of both the dark web marketplace that was named The Silk Road, and the man behind it, Ross Ulbricht AKA Dread Pirate Roberts. It’s a story about idealism, money, investigation, technology, and government. I think this documentary covers it pretty well except for a more recent development, but that’s to be expected. If you want to learn about this case or simply refresh your memory, I’d recommend this film which is available on Amazon Prime. It’s a “who done it” story set in the internet age. I didn’t know about this so I watched it recently and liked it. At the end of WWII in Europe an agreement is reached between the US, UK, and Russia to return a millions of captured and surrendered Russians, and people who fled out of Russia, back to Russia. Stalin made no secret about his plans to kill or send them all to gulags. The other leaders looked the other way in order to quickly get a few of their own country men returned and to not create friction with a new ally. Only one small country said NO to the forced return order. It’s 55 minutes long and I think will be interesting to people who like learning about history.